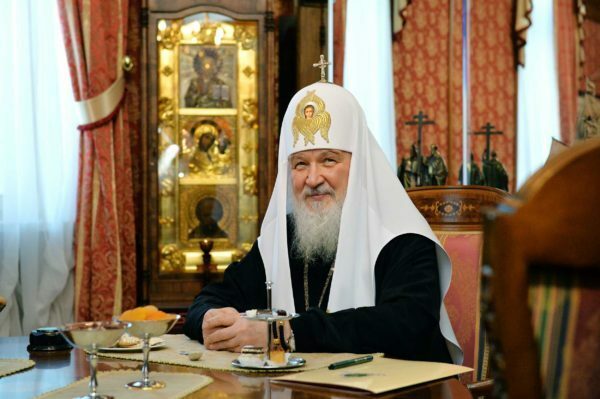 His Holiness Kirill, Patriarch of Moscow and All Russia, has sent Paschal messages to heads of non-Orthodox Churches, among them Patriarch Tawadros II of the Coptic Church, the Pope of Alexandria and Patriarch of the See of St. Mark; Pope Francis of Rome; Patriarch Ignatius Aphrem II of Antioch and All the East (Syriac Jacobite Church); Supreme Patriarch and Catholicos Karekin II of all Armenians; Catholicos Aram I of Cilicia; Catholicos-Patriarch Mar Gewargis III Sliwa if the Assyrian Church of the East; Maronite Patriarch Bechara Boutros Cardinal al-Rahi of Antioch and All the East; Malankara Metropolitan and Catholics of the East Baselios Mar Thoma Paulose II; and Patriarch Abune Mathias I of Ethiopia. The Saviour’s sacrifice on the cross is a testimony to God’s boundless love for His creation and His rising from the grave has marked the beginning of a new era in human history; for Christ is risen, and life reigns! Christ is risen, and not one dead remains in a tomb! (Paschal Homily). In these radiant festive days I wish that you and your flock may praise the Master of Life and Conqueror of Death in joy and peace. May God and Father of our Lord Who in His great mercy has given us new birth into a living hope through the resurrection of Jesus Christ from the dead (1 Pet. 1:3) grant you strength and generous help in your lofty and important service.